If you dream of hosting your event in a picturesque spot on the banks of the Forth or overlooking Scotland’s oldest castle keep but you are struggling to find a high quality catering company who is able cook in such locations, Hog Roast Alloa can give you everything you need. We can provide restaurant standard food in any location in Alloa without ever compromising on quality. Our superior, locally sourced ingredients and versatile cooking methods allow you to have a contemporary menu all of your guests will love, presented to you in any scenic local in Alloa. We are first and foremost hog roasting specialists, but we also offer extremely diverse menus that are great for any occasion. We can cater for small parties and large events in any setting and we always deliver the same excellent level of food and service for every type and size of event we cater for. Our superior slow-roasted pork is always a winner at every event we serve it at, but if pork isn’t your number one choice, you can enjoy one of our alternative meats, such as sirloin of beef, organic chicken or spring lamb, all of which are cooked using the same slow-roasting method to ensure maximum succulence and flavour. 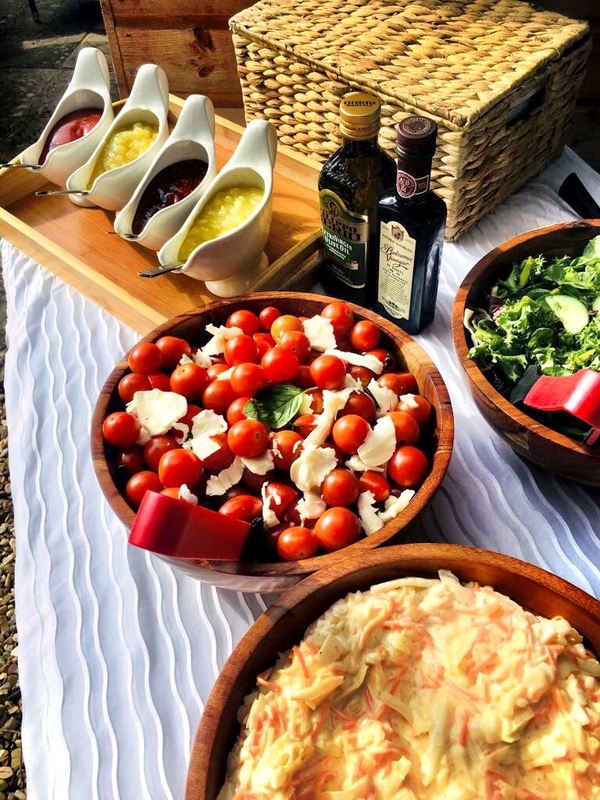 If you have vegetarian guests, they will be spoilt for choice with the array of meat-free dishes we also offer and if any guests have specific dietary needs, we always ensure we cater for their requirements. The Hog Roast Alloa team are incredibly adaptable and we are able to freshly prepare every dish at your venue, whether it be an outdoor open space or a smaller, more traditional indoor setting. We always arrive on site several hours before your event is due to take place and spend our time making everything from scratch as your choice of meat is slowly-roasting over the course of several hours. Even if we are preparing a formal 3 course meal with canapes, we never take short cuts or rely on pre-made dishes. If you are hosting a more formal event, we will also provide full table service and a warm welcome for your guests with a tempting tray of our delicious canapes. If you want to some fabulous food in the great outdoors, do not hesitate to get in touch with Hog Roast Alloa to discuss your requirements.